AROUND 1.1 MILLION people in Ireland avail of a free travel pass – but should they be charged a levy for rail journeys to save Irish Rail money? The pass is available to people aged over 66, carers, and people who are receiving certain disability payments. It is available on Iarnród Éireann, Bus Éireann, Dublin Bus, Dart and Luas Services and on certain private bus and ferry services. However, the Sunday Business Post reports today that Siptu’s Irish Rail section would like a levy placed on train journeys for holders of these passes. They say that this levy could raise money and help lessen the pain that cuts are having on staff. 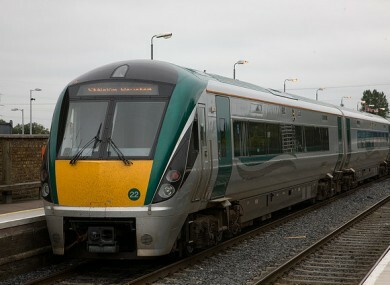 Irish Rail is currently seeking over €2 million in cuts from payroll over the next three years. What do you think: Should a levy be placed on Free Travel pass rail journeys? Email “Poll: Should a levy be placed on free travel pass rail journeys?”. Feedback on “Poll: Should a levy be placed on free travel pass rail journeys?”.